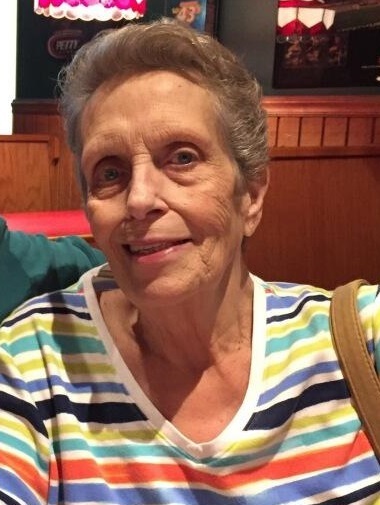 Gail Emily McEntire Ortega, 71, died peacefully at her home in Randleman on November 27, 2018. She was surrounded by family who loved her and will miss her deeply. She was born February 28, 1947, in Portsmouth, Virginia to Elen Vay McEntire and Helen Ruth Holbrooks McEntire and grew up in Greensboro, North Carolina. She graduated from Ben L. Smith High School in 1965 and worked professionally as a bookkeeper until retirement from E.N. Beard/Piedmont Hardwood Lumber Company. Gail was preceded in death by her parents, Elen and Helen, and her brother Rev. Larry McEntire. She leaves behind her daughter, Lisa Marie Hege and wife Deena Marlene Hege, sister Peggy McEntire Shaw, Sister-in-law Brenda McEntire, five nieces, one nephew, several cousins and “adopted daughter” Tracy Wilson McIntyre. She also leaves behind 496 hours of unwatched T.V. she recorded. She was a natural caretaker and enjoyed fishing, the beach, slot machines, and cats. Lots of cats. And coffee. Lots and lots of coffee. She also cherished her dinners with the BLS Supper Group as well as their lifetimes of friendship. The family would like to thank all those who helped care for Gail this past month as each day became a struggle. Your time, donations, and caring spirits were greatly appreciated. A special thank you to Gail’s lifetime friend Dena Hill for always being there and to Hospice of Randolph County Super Nurse Meagan for holding our hands. As Gail wished, there will be no formal service but a celebration of life and a toast to her memory at a date and location to be announced. Please check her Facebook page for updates.